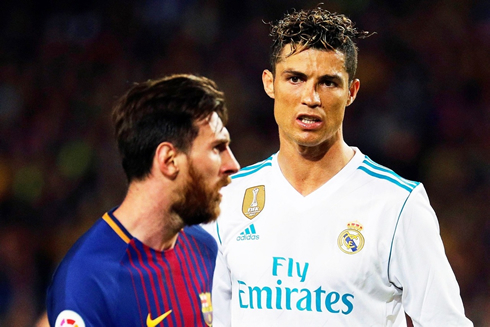 Barcelona, of course, have already sealed the league title, but El Clasico will always be El Clasico and with an opportunity to end Barça's unbeaten league campaign, Madrid came out in full force. Luis Suarez put Barça ahead early after finishing off a Sergi Roberto cross in the 10th minute. Madrid would recover quickly, however, and it was that man again, Cristiano Ronaldo, providing the final touch. His backheel on the wing found Toni Kroos who immediately crossed it to Karim Benzema. 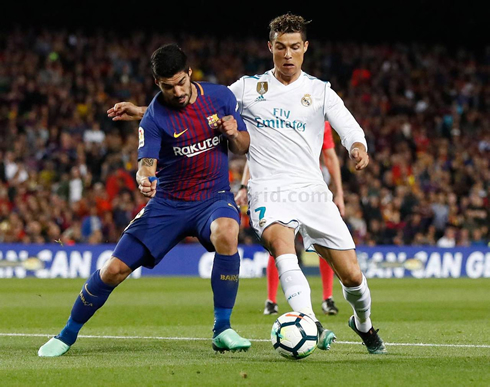 The Frenchman nodded it back into the center where an onrushing Ronaldo was able to get there before Gerard Pique. However, he paid for the goal as he picked up an ankle injury that would eventually see him leave the match at halftime. He surely won't play again before the final in Kiev, as he rests and attempts to recover. With three weeks until that match, he should be fine. Now tied, tensions began to rise and it came to a boil just before both teams headed into the locker room at the break. Gareth Bale was lucky to escape with not even a booking after stamping Samuel Umtiti in the calf, but Barcelona's Sergi Roberto would be punished for his foul. He hit Marcelo in the face right before halftime and he was promptly sent off. Madrid now up 11-10 had a clear chance to take three points from Barcelona. But Gareth Bale, who has been missing in many recent Clasicos, reminded fans of why he's such a talent scoring an almost similar goal on the other end of the pitch. His goal, however, was a one-time finish that went straight into the top corner. Just four minutes later, Real Madrid would feel hard done again because of the officials. Marcelo was clipped in the box by Jordi Alba, but there was no call from the ref. Marcelo could only laugh. 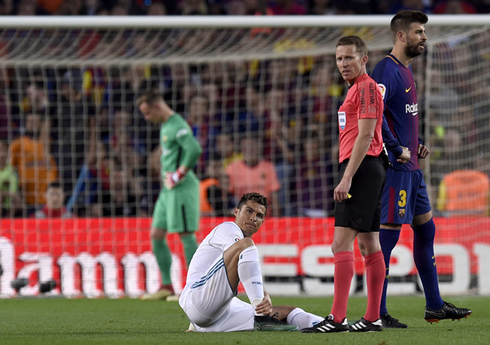 It was a volatile and exciting game as any Clasico should be, but the referee's decisions marred the game. Furthermore, with Ronaldo now injured and his ankle reportedly swollen, we now wait impatiently for any news about his recovery time. The final is on May 26, so he has just under three full weeks to get back to full fitness. Cristiano Ronaldo next game for Real Madrid is on May 9 of 2018 against Sevilla. 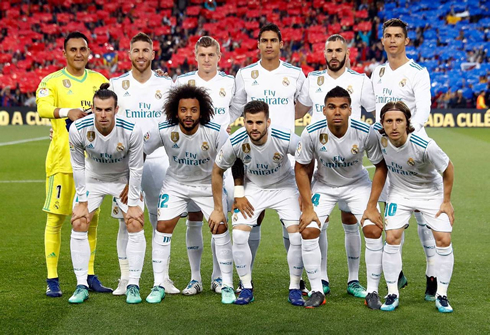 You can watch Juventus live stream, Sevilla vs Real Madrid, Les Harbiers vs PSG, Chelsea vs Huddersfield Town, Swansea City vs Southampton, and Tottenham vs Newcastle, all matches provided from our football live game pages.